Crystal Jade must be a familiar name for most if not all Singaporeans. 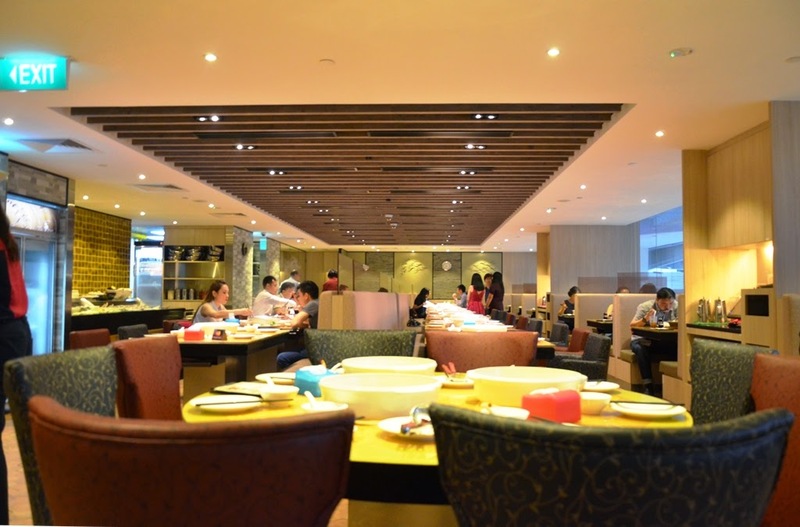 With its bakeries serving pastries to fine dining concepts serving traditional Cantonese and Teochew cuisines, you can even find authentic Korean cuisine and Continental boutique-styled cafes under the Crystal Jade brand name. 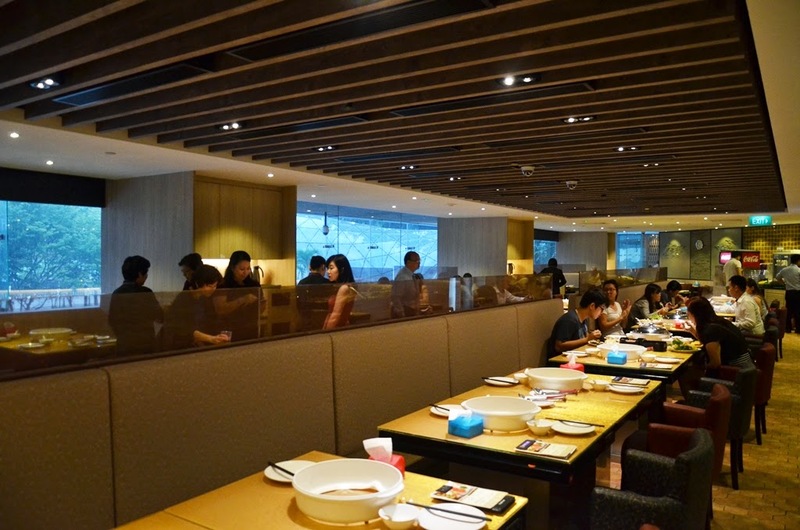 The Crystal Jade Steamboat Kitchen, conveniently located at Plaza Singapura was reopened earlier in May this year, offering an all-day steamboat buffet spread together with some of the Cantonese dishes typically found at Crystal Jade Kitchen that include your classic roast meat, dim sum and many other Cantonese dishes. 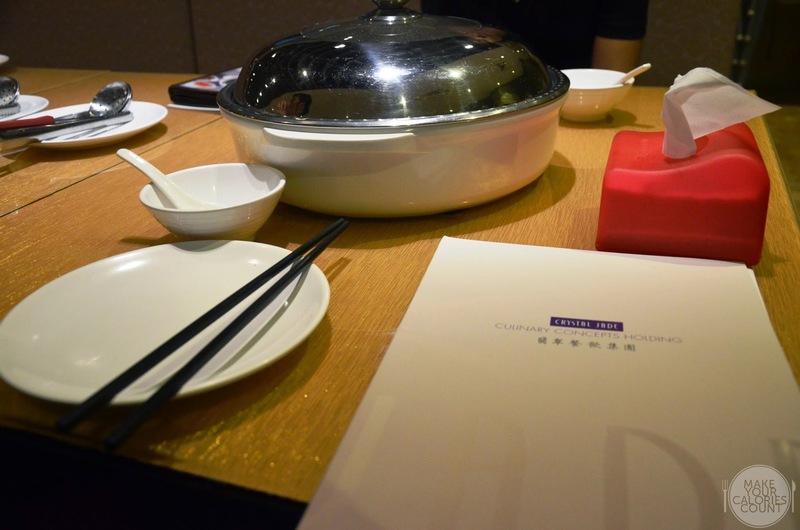 While we waited for our broths to boil, let us first tuck in to some signature dim sum dishes and roast meat platter! 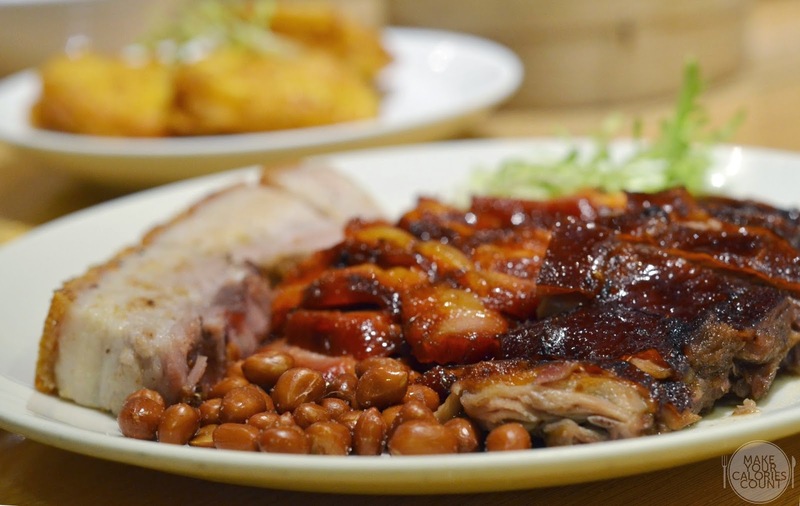 With a classic combination of three types of roast meat, we had the roast duck, roast pork belly (siew yuk) and honey barbecued pork (char siew). The ducks were carefully selected from Ipoh duck farms where newborn ducks were raised to seven weeks before being slaughtered. 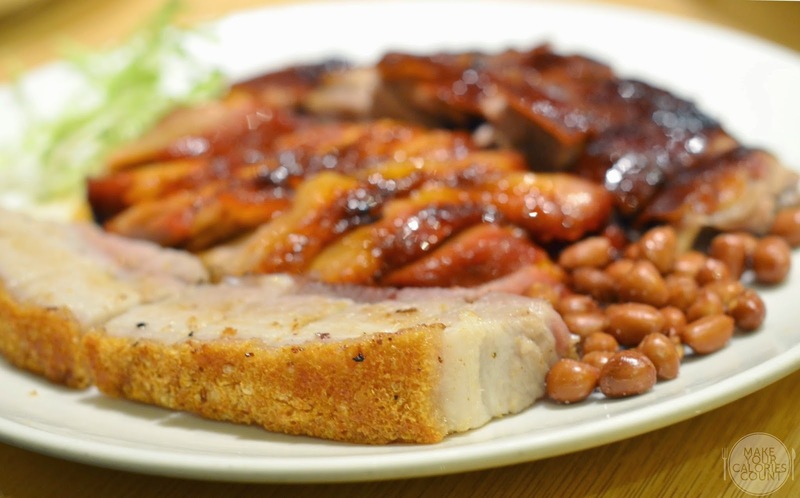 Seasoned with various Chinese herbs stuffed in the stomach before roasting, the duck meat packed rich flavours and what made the dish outstanding was the caramelised crispy skin which the chef took special attention to glaze it at regular intervals. There was nothing better than a crackling pork belly skin. With the pork belly seasoned with salt and five spice powder and roasted for up to two hours before service, the meat retained moisture which complemented the crispy skin. 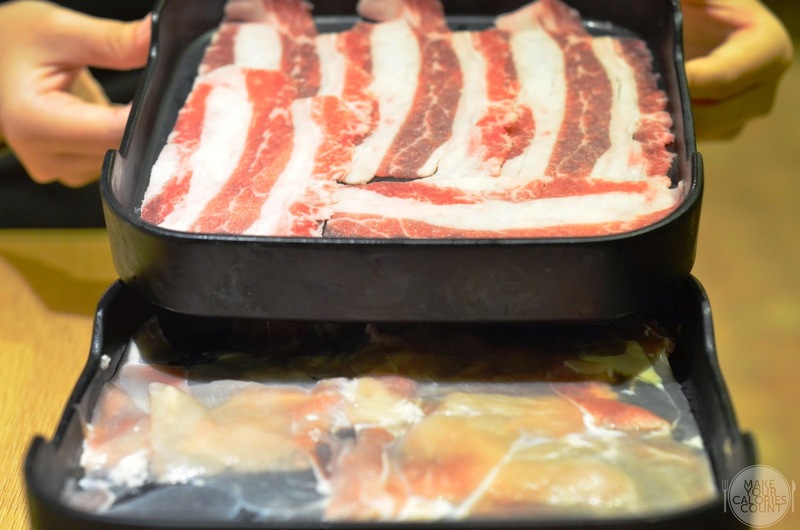 If you enjoy a fatty char siew, this would make you smile but if you are quite health-conscious, this might make you cringe as there was a rather thick layer of fat in the belly cut. 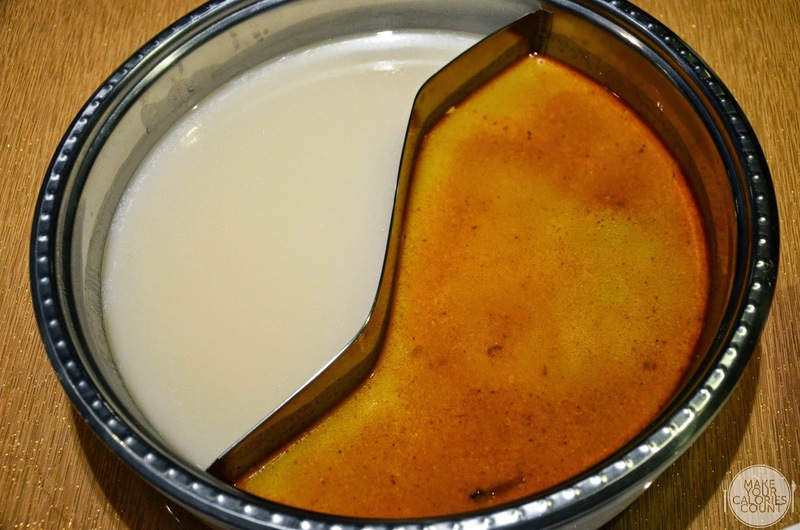 While the flavours from a mixture of honey and sauces appealed our palates, we found it a little too fatty for our liking. 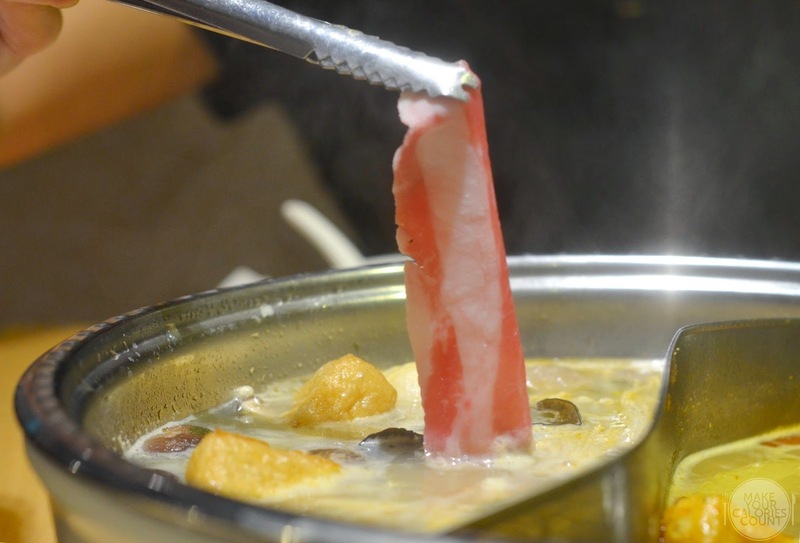 While the translucent wrapping was relatively thin and not overly starchy, some of the prawn pieces fell out in odd ways upon the first bite. While the prawns gave a nice crunch and tasted fresh, we would have preferred it better if the prawns were served whole. 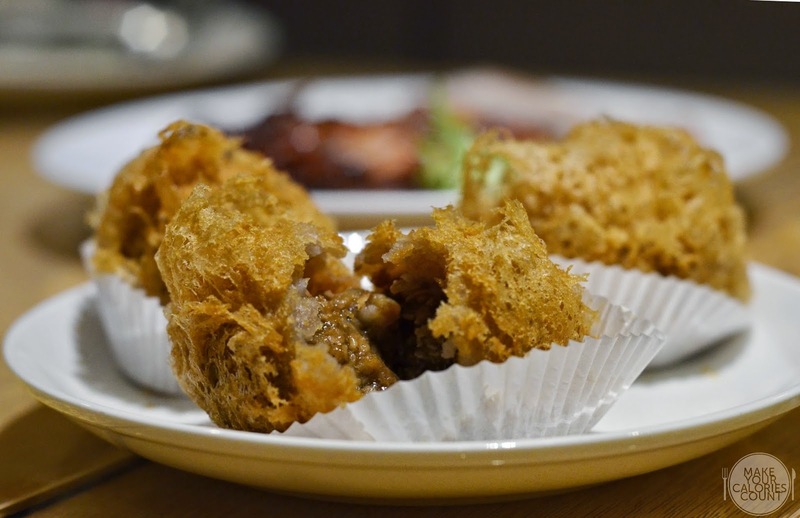 One of the must-haves when it comes to dim sum, the minced meat and prawn paste were blended to create the desired degree of elasticity. The dumplings tasted fresh and we also liked that it came in bite-sized portions! 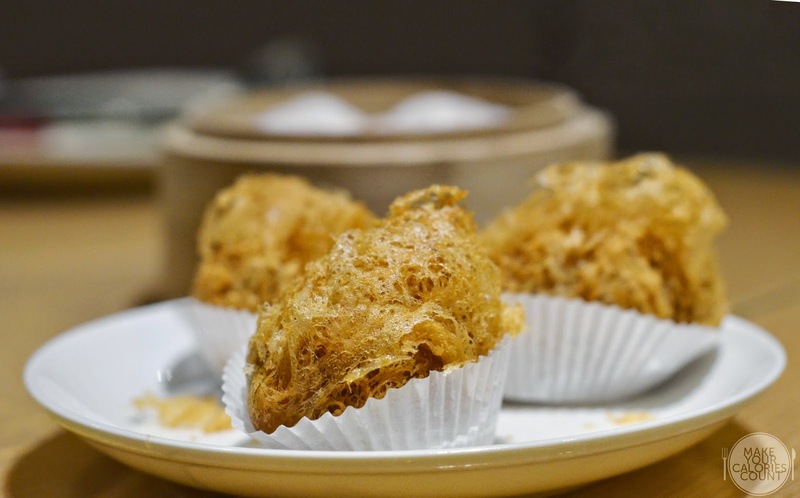 Another favourite for most dim sum lovers, the soft and fragrant yam with juicy minced meat was deep-fried to give a golden-brown wispy coating that complemented the textures within. 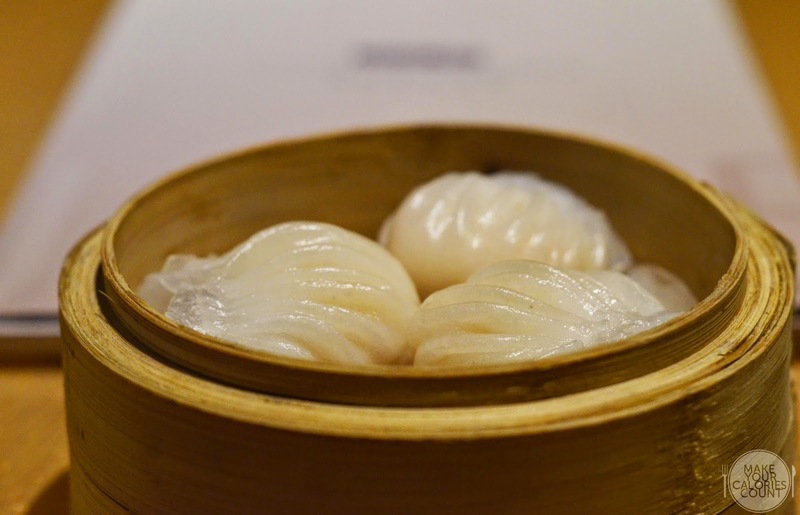 A must-have for those who enjoy savoury dim sum dishes! 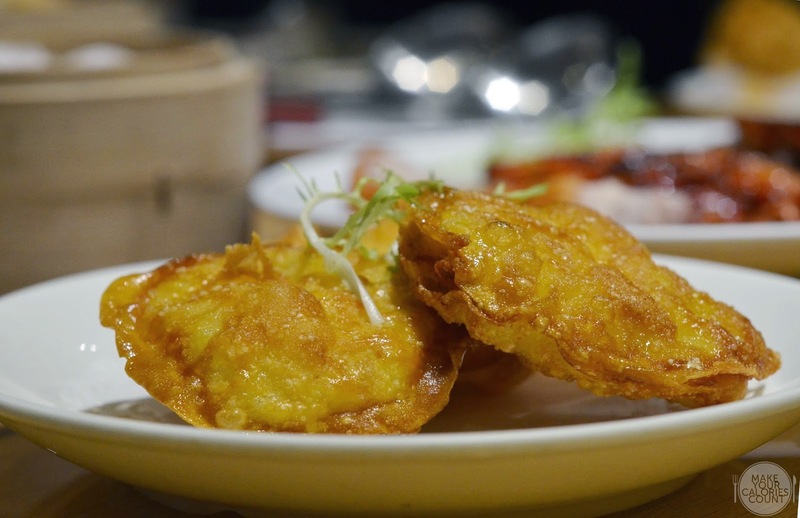 An old-school dim sum dish which itself is quite rare even in Hong Kong, Crystal Jade serves this minced fish cake and radish, sandwiched between two layers of wanton skin and deep-fried to a golden brown crisp. The textures were spot-on with a beautiful crispy skin coated a firm yet elastic fresh fish cake on the inside. Highly recommended! 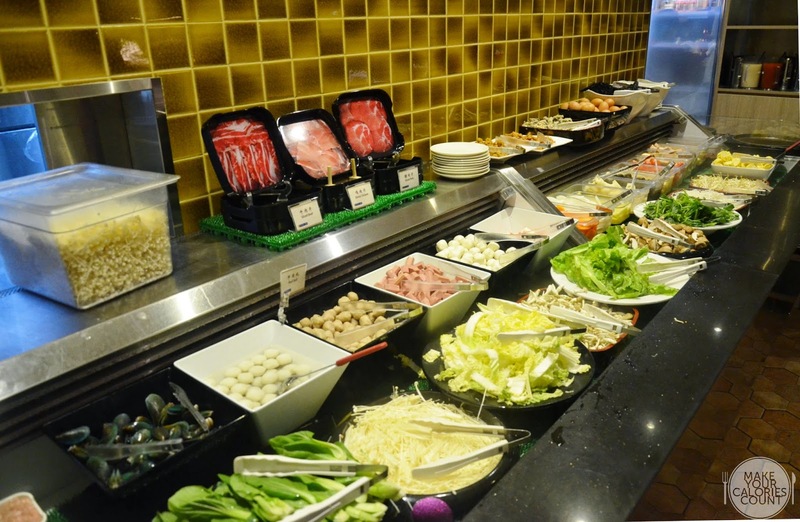 If we have not manage to interest you with their Cantonese fares, it is now time for the steamboat buffet! 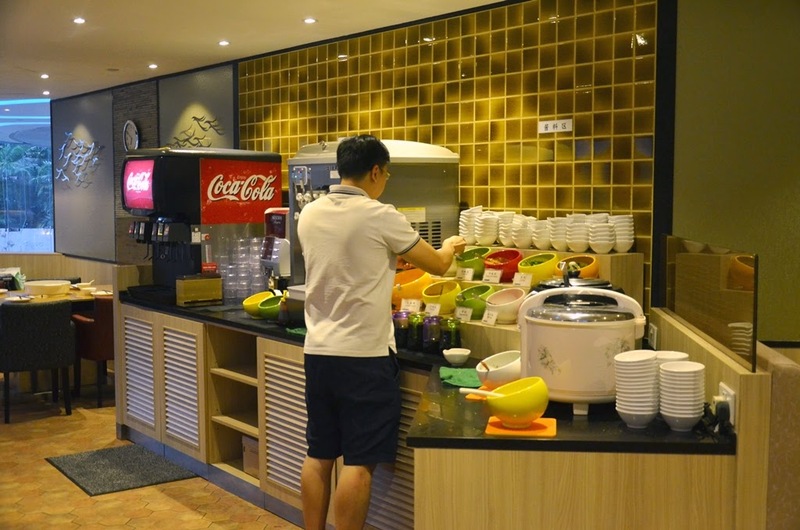 With plenty of steamboat buffets around in town, the weekday dinner buffet is priced at an affordable S$20.90/++ for adults and S$17.90/++ for children below 12. 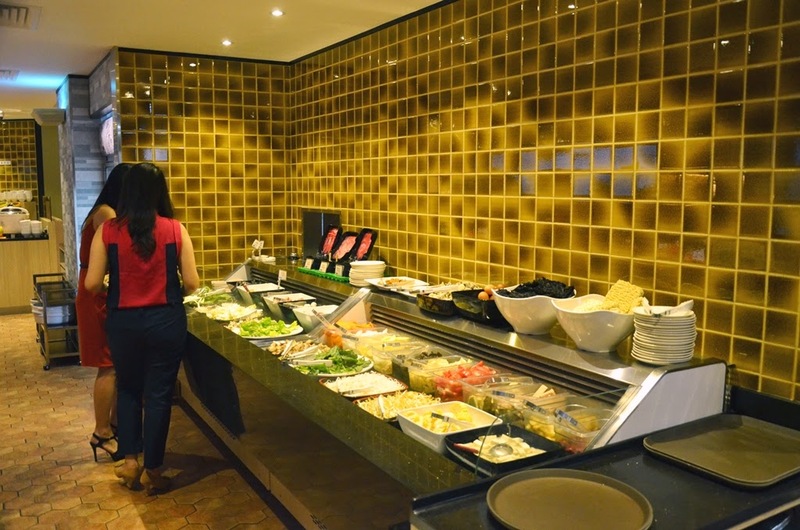 On the weekends, dinner buffet is S$26.90/++ for adults and S$23.90/++ for children under 12. 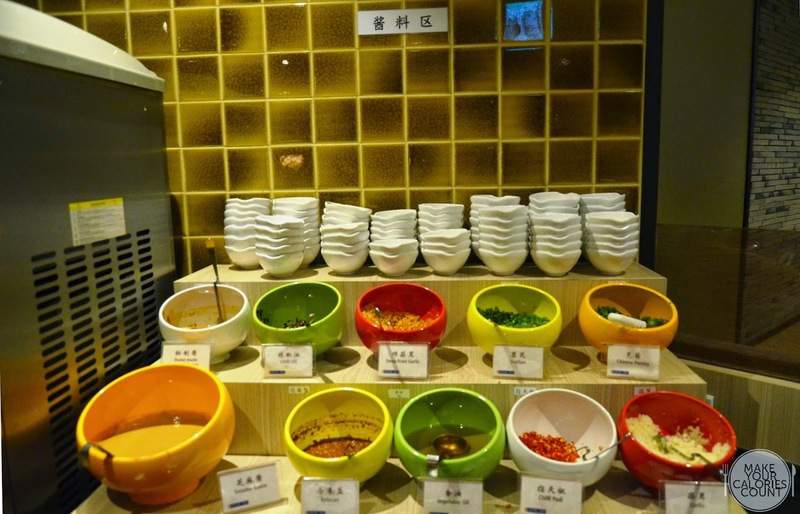 Like most steamboat buffet restaurants, expect to be greeted with a display of greens, meat and your usual meatballs of all sorts, ranging from cuttlefish balls to fishballs! There was also a condiments corner where you could expect 12 different types of condiments which include sambal belacan, sesame sauce to spring onions and minced garlic. Not forgetting your free-flow drinks and soft-serve ice cream! 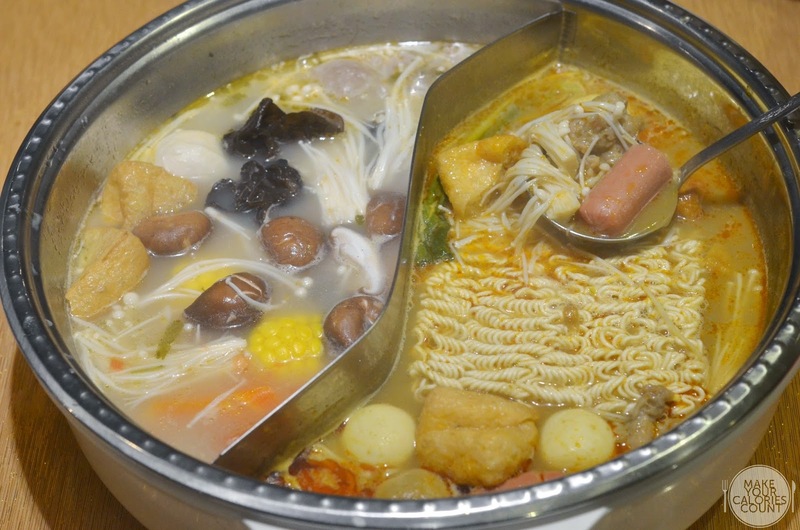 With up to six different types of soup bases to choose from, we were recommended the popular pork's bone soup which goes with most ingredients and the curry broth which draws inspiration from Hong Kong's cart noodles (車仔麵). Among the other soup bases, there were also tomato, miso, superior and spicy mala for those who are more adventurous! 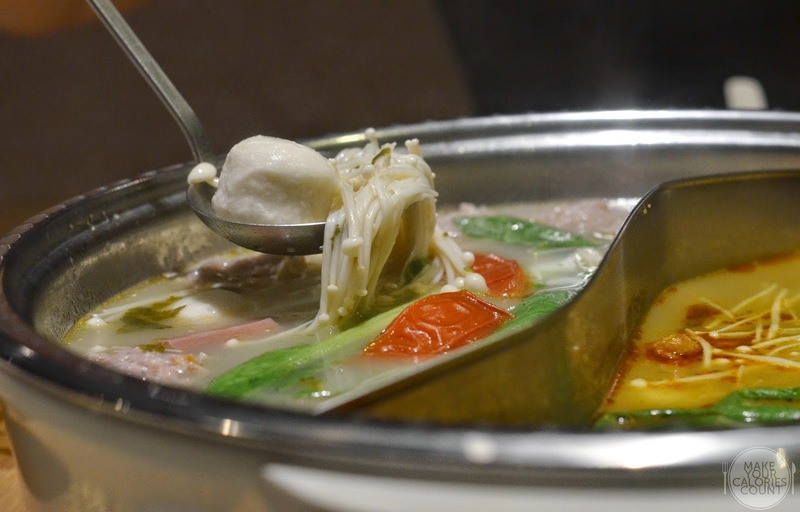 In general, we thought that the flavourful pork's bone soup was just about the perfect base stock for anyone, especially if you have elderly or kids within your companion. Steamboat essentially allows you to put just about anything available into the broth and we made our very own curry 車仔麵! What we enjoyed was the adjusted level of heat from the curry broth and the richness in flavours made this a much delectable base too. When it came to carbs, there was no better bowl than this fragrant QQ rice which is a blend of fragrant Thai jasmine rice and glutinous rice. 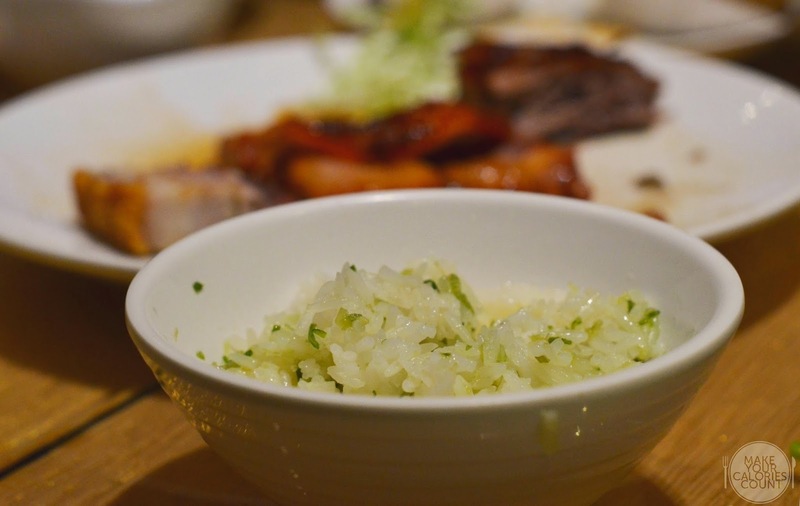 It is highly recommended that you add a spoonful of freshly made scallion oil into the bowl, tossed it around and you would get a bowl of rice packed with varied textures and full on flavours. When it comes to proteins, expect these finely sliced fresh pork, chicken and beef. In order to retain freshness, these could be ordered through the service staffs who would bring it to your table. We found this to be much more hygienic compared to leaving it exposed to open air! While you would have to order on an ala carte basis, there was no restrictions on the number of plates one could place! 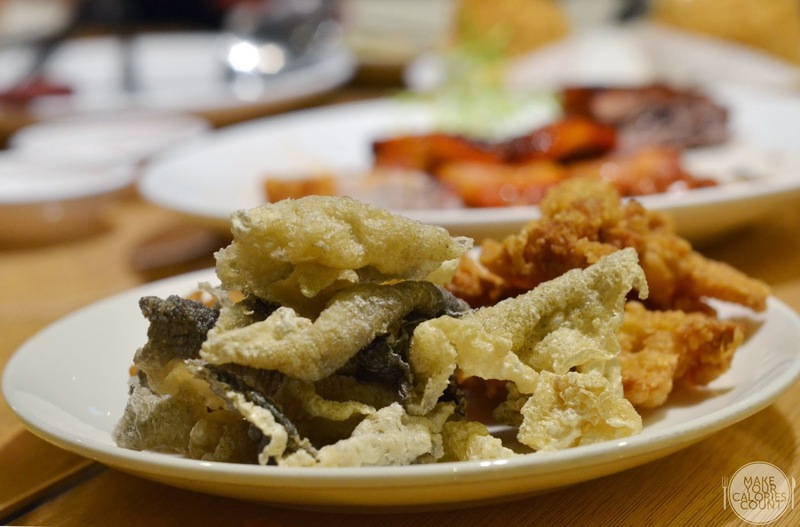 A huge fan of crispy fish skin, this certainly caught my attention together with the fried chicken skin and deep fried mushroom stems which could either be dipped into the broth to absorb the lovely flavours or enjoyed on its own! What caught our attention was that the 'stove' was built into the table and diners are well-protected by the surrounding plastic cover. 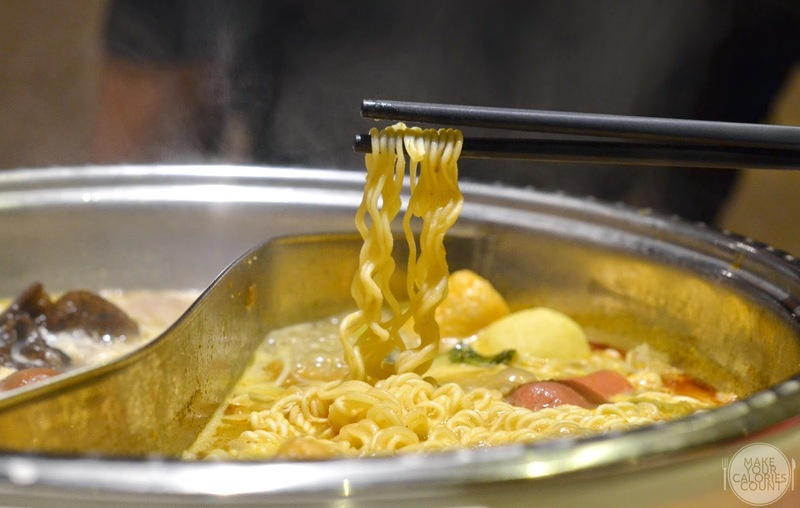 This makes it a friendly affair for families to bring their young children to enjoy a hearty steamboat meal without having to worry about possible spills or scalds. 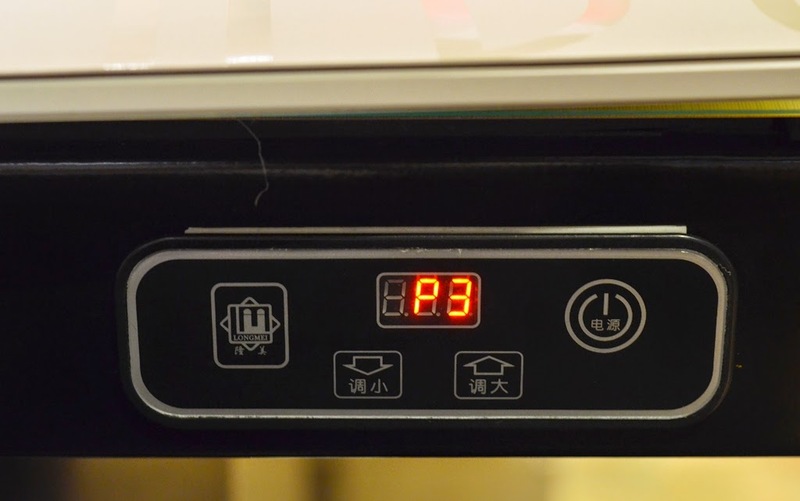 With an easy-to-operate panel of controls at the edge of the table, you could easily turn up or down the amount of heat you want to impart to your broth! 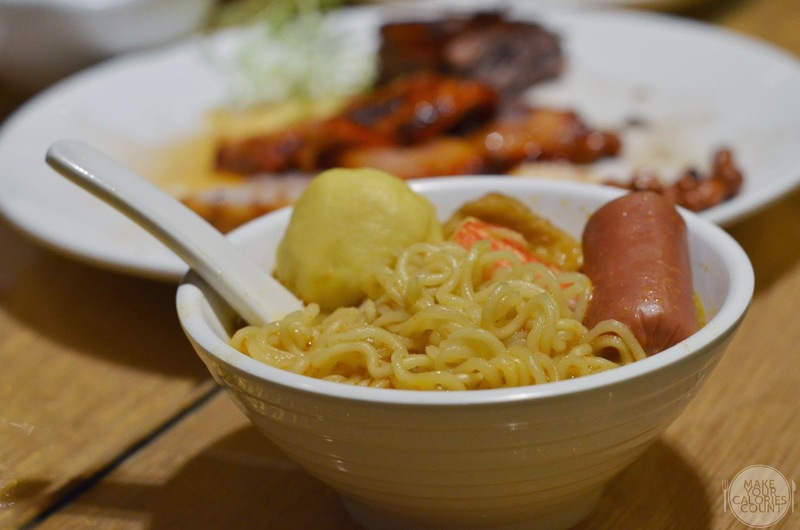 Offering a comfortable casual dining ambience and quality food at affordable prices, it is no wonder Crystal Jade Steamboat Kitchen is popular with families and students alike. 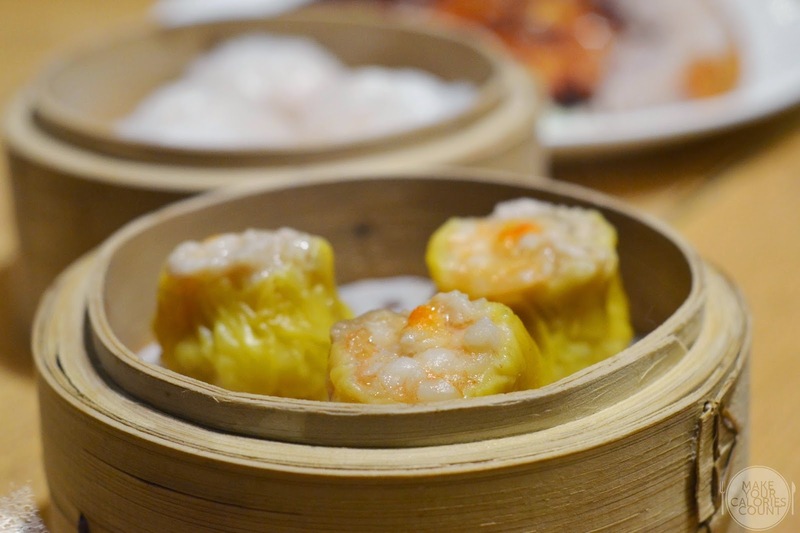 What we enjoyed most was that apart from the steamboat buffet, we could tuck in to some freshly made dim sum in the evenings as they are offered all-day alongside the usual classic Cantonese dishes. Despite being a media tasting event, we are already looking to a second visit with our family! P.S: Special thanks to Joh Ju and Crystal Jade for hosting us!